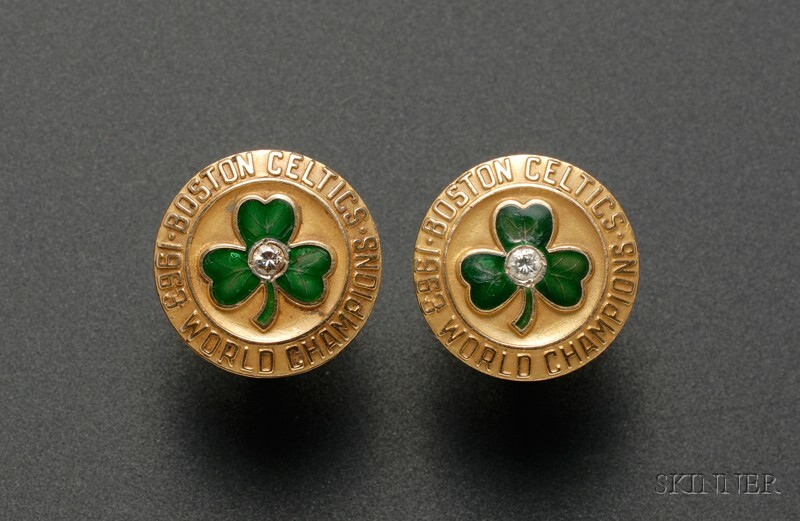 Pair of 1963 World Champion Boston Celtics 10kt Gold, Diamond, and Enameled Cuff Links, impressed marks and maker's name "Koch," dia. 7/8 in. Provenance: After the Boston Celtics won their fifth straight World Championship in 1963, team owner Walter A. Brown presented this set of cuff links to his lifelong friend Monsignor Thomas L. Keany as a token of their friendship. These two men from the Brown and Keany families of Hopkinton, Massachusetts, grew up together sharing a love for basketball. Brown became owner of Boston Garden and in 1946 founded and owned the Boston Celtics, and later the Boston Bruins, until 1964, the year of his death. In 1964 the Celtics retired the jersey number 1 in honor of Brown, he was named to the Basketball Hall of Fame in 1965, and had been named to the Hockey Hall of Fame in 1962. Monsignor Thomas Keany graduated from Holy Cross College in Worcester and studied for the priesthood at St. John's Seminary in Brighton, Massachusetts, leading to his ordination in 1916. 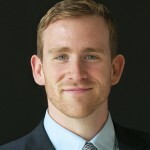 He was assigned to a parish in Little Rock, Arkansas, where he also taught and coached girls' basketball at Mount St. Mary's Academy. He also wrote a regular column for the Guardian. After his death in 1975, the cuff links passed through the family.